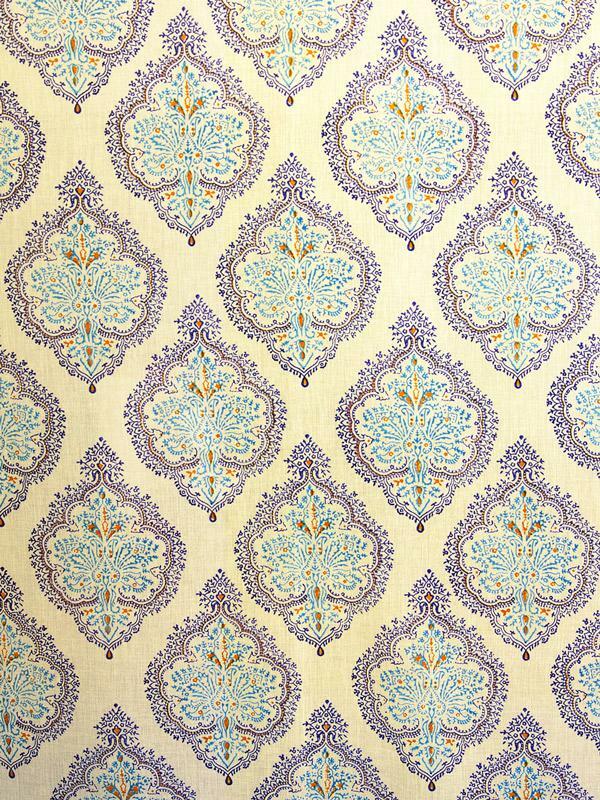 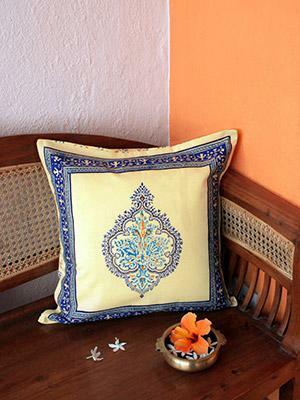 Stately, regal diadem like motifs in royal blue and teal with accents of orange, elegantly patterned across a pale yellow ground. 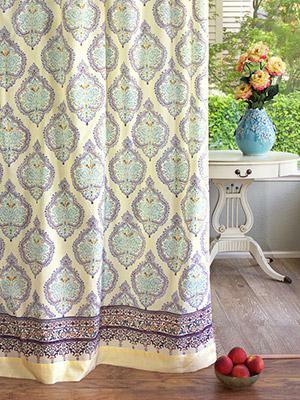 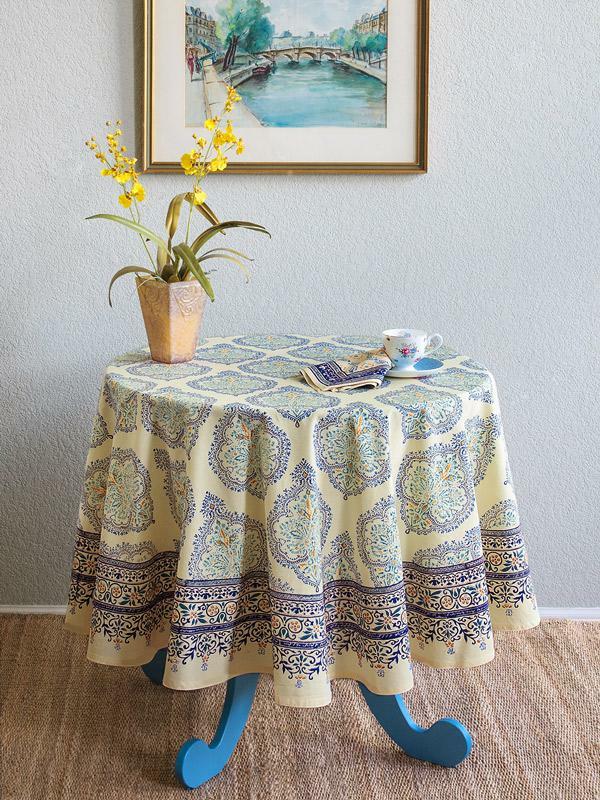 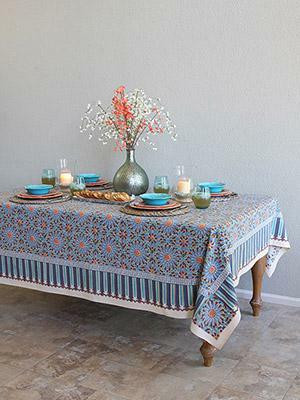 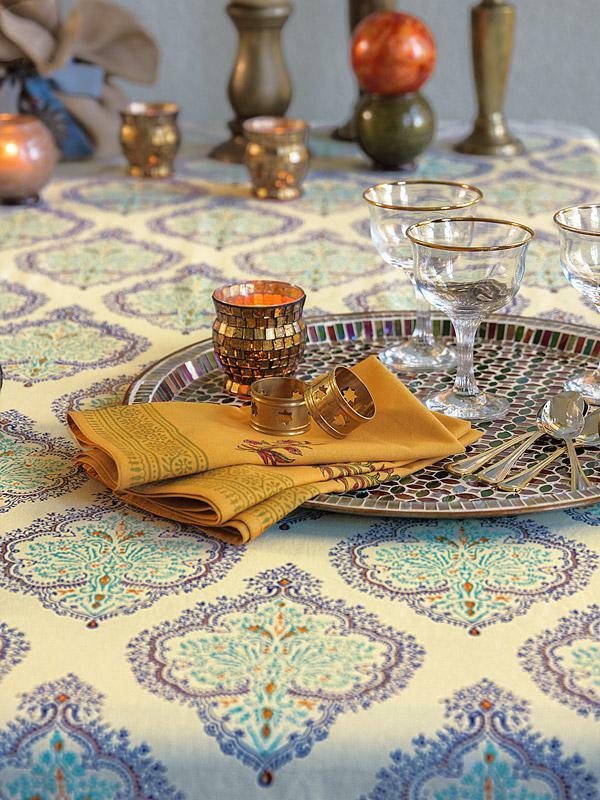 Spread a little French style all around with this provence yellow tablecloth. 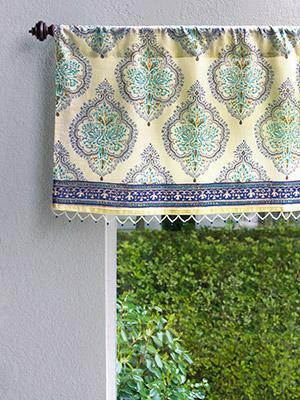 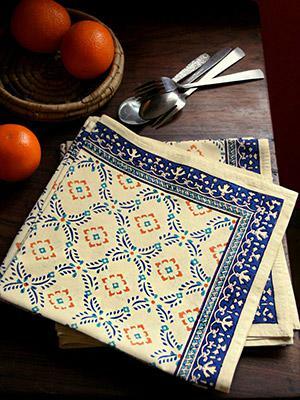 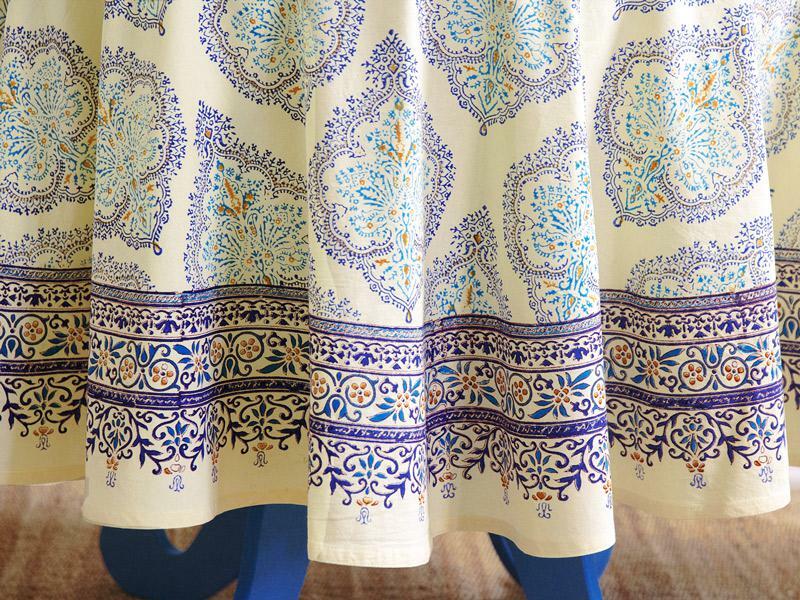 Dishes in deep blue and buttery yellow with touches of citrusy orange will light up ... [ read more ] the colors in the print. 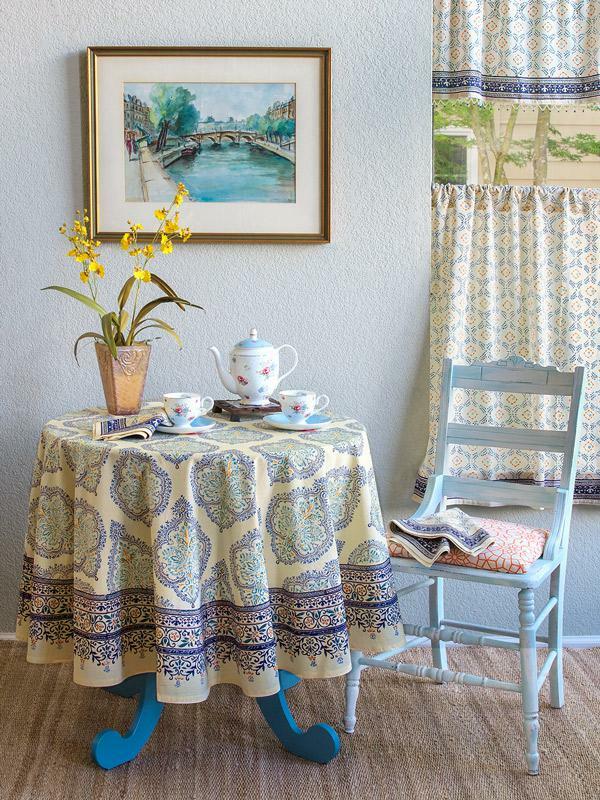 Rustic and natural is the vibe here, so think about a centerpiece of sunflowers, furniture in distressed and bleached wood, and touches of wrought iron for that truly French feel.